Since the beginning cryptocurrencies have always been favored by the tech-savvy crowd. Even though buzzwords like “Bitcoin” and “blockchain” are often heard on the mainstream media these days, using cryptocurrencies remains a cumbersome process for most people. Wallet addresses are long and random cryptographic hashes. A small mistake in a single character would result in permanent loss of funds. Double/triple checking every address before every transaction has become common practice among cryptocurrency users. For businesses that accept cryptocurrencies, as wallet addresses are usually not directly linked to customer accounts, there is often no easy way to tell who made which payment until the customer presents payment proof separately. These are some of the main hurdles facing cryptocurrency mass adoption today. 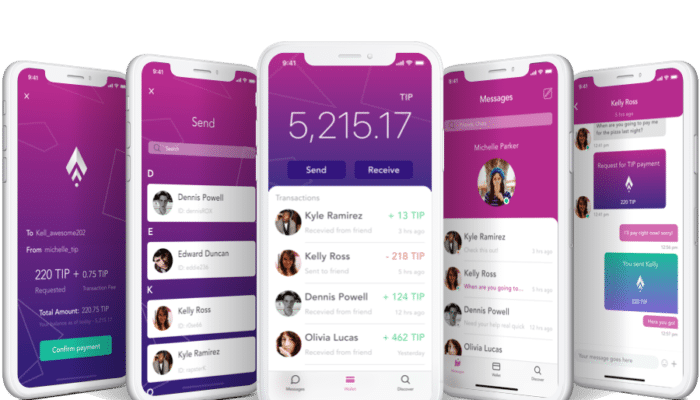 Tip Blockchain is an ambitious startup working to make cryptocurrency easy to use for everyone including the average non-techie grandparents. To achieve this, the TIP light wallet/chat app, Kasakasa features short usernames as smart addresses. Typical usernames like @HanSolo12 or @BurgerShop78 will be used as wallet addresses, replacing long cryptographic hashes like 0x016b1eA9A2B62AADD771DeA418AbE84693877C09. Users are able to search and find other users and businesses by username, as well as adding contacts from their phone’s contact list. Sending transactions can be achieved directly in a chat conversation. The initial release of the Kasakasa light wallet/chat app is scheduled for August 2018. The TIP ecosystem will also include a cryptocurrency point of sale (POS) system for businesses. This POS system will incorporate convenient features from traditional fiat POS systems, such as order/customer management, sales analysis, and reporting. The backbone of the TIP ecosystem will be the TIP Blockchain – a unique blockchain that allows users to store data on-chain, attached to accounts and transactions. It will automatically index the stored data making it easily available for future use. Tip Blockchain has a professional team of developers, entrepreneurs, and business people. Their expanding advisory board is stacked with advisors who have a proven track record of delivering successful blockchain startups and ICOs, and seasoned blockchain investors with in-depth industry knowledge and connections. They also have top lawyers in the cryptocurrency and business law fields on their board. The project is currently hosting their Seed Round token sale with 200% bonus. The Seed Round started at 12:00 am UTC on June 1, 2018, and will end at 11:59 pm UTC on June 15, 2018. TIP tokens are priced in ETH, with ETH being the only accepted payment method during the token sale. Tokens are valued at 1 ETH = 10,000 TIP, or 1 TIP = 0.0001 ETH. However, the current seed round offers a 200% bonus, allowing participants to purchase TIP tokens at 1 ETH = 30,000 TIP. Only 4% of the total TIP token supply is available for purchase during the current seed round.